REPOST FROM AUGUST 2012 - It seems that this prior post is having some viewing problems, so I'm reposting it. 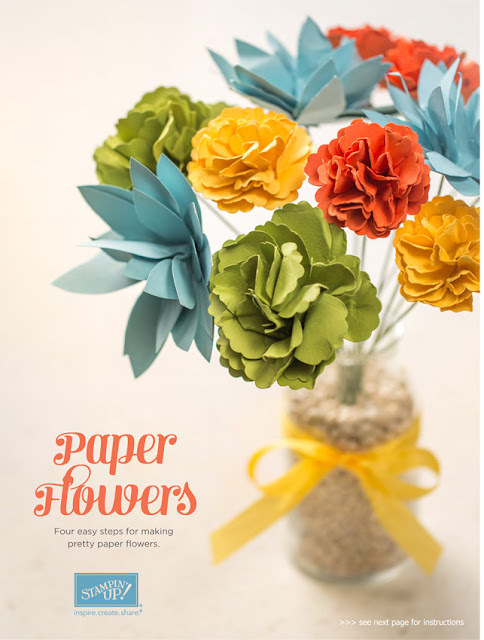 Be sure to check out the "Tutorials" Tab on my right sidebar under the "Labels" title for more great summer ideas. Have a great week! Below is a Stampin' Up! 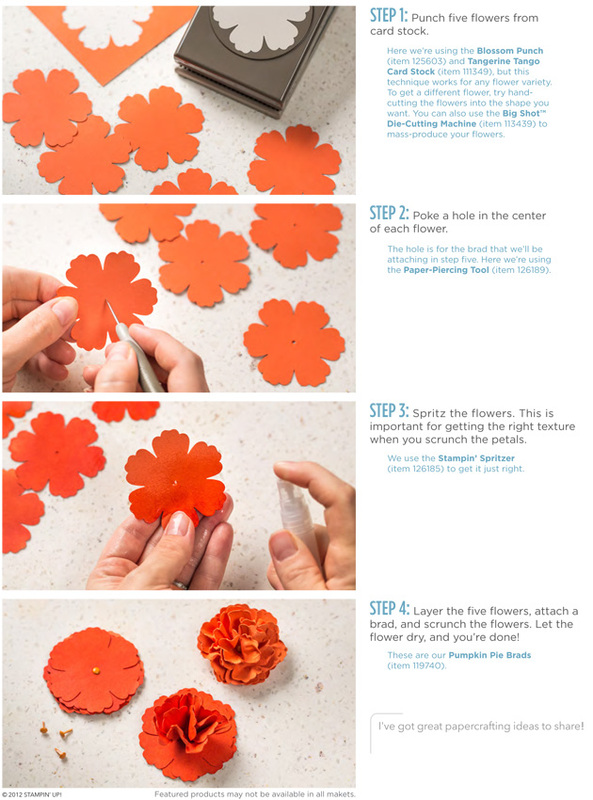 Paper Flower Tutorial I thought you'd enjoy. You can click on the images to enlarge them for easier viewing. Don't forget, you can order any of the products to make this project HERE. Be certain to select me as your Demonstrator when you log into, or create, your Online Account to take advantage of my Frequent Shopper Rewards and Preferred Pricing!